A sharp rise in conflict in Southern Sudan is raising concerns for the safety of civilians and aid workers, less than three months to go before the formal independence of the fledgling nation, officials warn. Heavy fighting has killed more than 800 people and displaced 94,000 since southerners voted overwhelming for independence in January, according to the UN Office for the Coordination of Humanitarian Affairs. However, a recent upsurge in violence between the Southern army and rebel groups has pushed the numbers to almost 1,000 dead and 100,000 displaced, say officials. Thousands of civilians have fled the fighting in Unity, local officials say. “Many houses were burned down in the fighting, and the people have run away for their safety,” said Charles Kuol, commissioner of Mayom County, site of some of the heaviest fighting between the SPLA and the forces of a former general-turned-rebel, Peter Gadet. Aid workers have also been targeted. A World Food Programme staff member was shot dead on 23 April by unknown gunmen in the Duk County area of Jonglei state, and two staff contracted to the International Organization for Migration are also missing. “Their vehicles were commandeered by the SPLA on 19 April and were forced to drive, carrying SPLA soldiers, into an area with active conflict in Unity state,” said Georg Charpentier, the UN Humanitarian Coordinator in Sudan. The oil-producing Unity state is struggling to quash a rebellion by Gadet, who fought for a northern-backed proxy force during Sudan's 1983-2005 civil war before joining the Southern army, and then returning to rebellion. Southern Sudan is struggling with at least seven separate militia groups, based mainly in the states of Unity, Upper Nile and Jonglei. The rebels' motivations are complex: many foot-soldiers appear to be driven by local grievances, ethnic differences and a lack of opportunities, but leaders say they are battling “corruption and repression of opposition” by the Southern government. “We are fighting to for democratic transformation,” said Gadet's spokesman, Bol Gathuoth Kol. However, critics argue that the rebels have little ambition beyond seizing cash and power from the government, as groups jostle for influence ahead of independence. The US-based Human Rights Watch pressure group has accused both rebels and the army of human rights violations during fighting in March in Upper Nile. Although the SPLA rejected the field-based report, HRW said it had “documented evidence that soldiers fired indiscriminately at civilians and burned and looted homes”. "Neither the armed forces nor the rebels took sufficient precautions to protect civilians from the conflict, despite clear signs that the fighting was imminent," said Daniel Bekele, Africa director of Human Rights Watch, in a 19 April statement. "The government should send a strong and clear message that it will not allow soldiers to abuse civilians or fail to protect them during clashes." Analysts have warned that security will pose a major challenge for the Juba authorities in the run-up to international recognition in July. 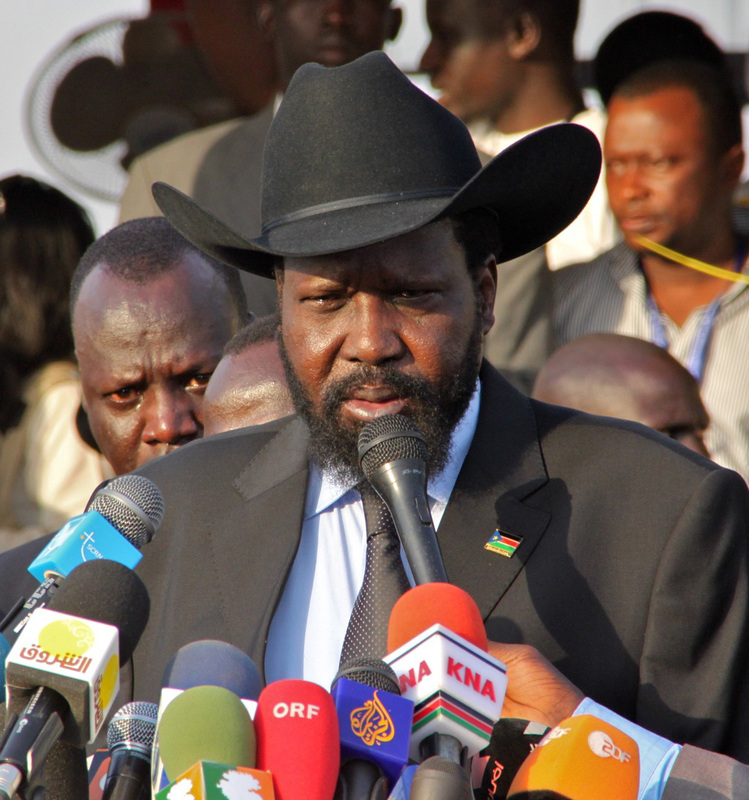 However, Southern President Salva Kiir has repeated his willingness to accept rebels if they surrendered. "My fellow brothers and sisters who may have taken up arms for one reason or another, our hearts remain widely open to those willing to lay down their arms and reconcile," Kiir said in an Easter message on 24 April. "I call upon you, all the people of Southern Sudan, to maintain peace and harmony." Kiir said the protection of the people was the "priority of the government". Before the 9 July independence date, agreement has to be reached on key issues such as the border, wealth-sharing and citizenship. Progress has been slow, with the disputed region of Abyei a significant stumbling block since the failure to hold a referendum there in January to decide where the area belonged.